Liverpool’s champions league quest has come under danger as they got beaten by Paris Saint-Germain by two goals to one at Parc Des Princes. Liverpool’s champions league dreams are now hanging to a thread after a disastrous night at Parc des Princes on matchday five of Champions League. 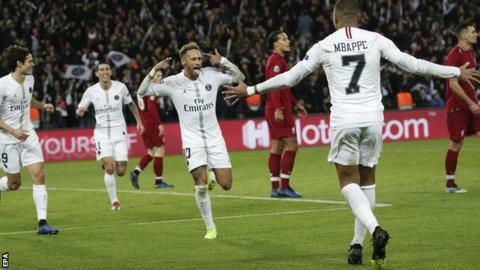 Paris Saint-Germain beat toothless Reds by two goals to one as Bernat and Neymar did business for the French outfit. Liverpool lacked pace and creativity in midfield and their defensive fragilities were exposed by Neymar and co. 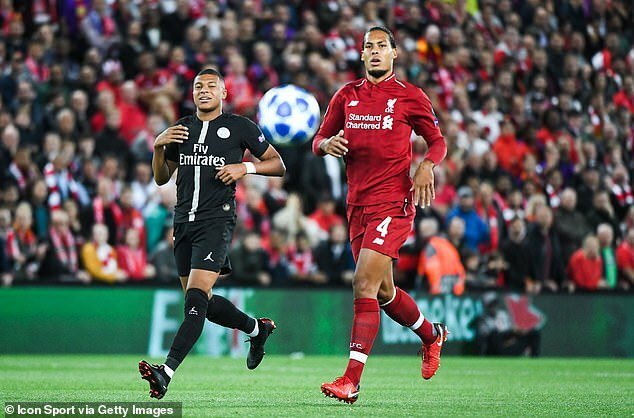 Surprisingly after a while Reds headstrong center back, Virgil Van Dijk came under spotlight for sloppy play and his error in the first half gifted PSG their first goal of the night. “There are certain moments where you need to keep your head cool. It was difficult,” he told LFCTV. “There were good things in the second half but to lose is painful. “The (first) one I tried to clear, the ball came behind me a little bit and they picked up the second ball. “It should have been better there but everyone sometimes makes mistakes. I need to learn from that. “The second one was on the break – that’s what they’re good at. We need to do better. “You make it difficult for yourself if you’re 2-0 down, especially after 30 minutes or so. Liverpool simply has to win against Napoli at Anfield on December 12 to make into last 16. Reds are back in action in Premier League against their arch Merseyside rivals Everyone which promises to be thumping Merseyside Derby.